With more than 50,000 copies sold, Alan Farley’s The Master Swing Trader has become the definitive guide for maximizing profit from short-term price moves. Now in his highly anticipated companion volume, The Master Swing Trader Toolkit: The Market Survival Guide, Farley builds on his proven strategies and techniques and delivers new tips for consistently beating the markets― today and in the future. The Master Swing Trader Toolkit is a powerful application-oriented handbook that shows you how to identify and grow wealth from the opportunities resulting from the steep market crash. Additionally, this full-service volume offers prescriptions for prospering in the postcrash environment and provides guidance for finding new, reduced-risk market prospects during virtually any economic scenario to come. The author’s trading style has evolved since the publication of The Master Swing Trader. This follow-up companion helps you adapt and gain an edge as the author has, specifically in the vein of “defensive trading,” to achieve profitability in the modern electronic markets. Because The Master Swing Trader Toolkit is a survival guide for the real world, Farley presents an abundance of authentic case studies to show his defensive trading strategies in action, and he illustrates a broad variety of other patterns and observations acting in specific market scenarios. At its core, The Master Swing Trader Toolkit: The Market Survival Guide is a book about tape reading. The ticker tape is immune from manipulation, deconstruction, regulation, and fragmentation, which makes it the most powerful tool for attaining wealth. 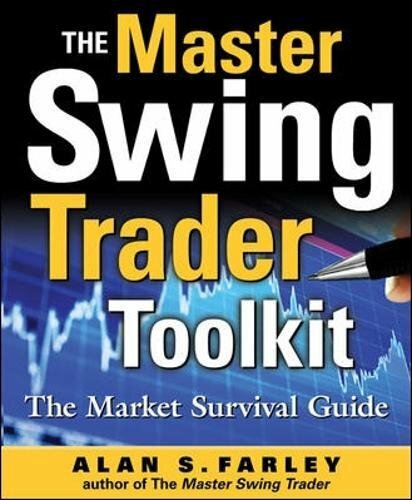 Get the most out of what you read by starting with The Master Swing Trader Toolkit.